Yewno Life Sciences discovers links across life science fields, forming connections across millions of data points. While there is a wealth of available information across life science areas, the challenge is that the information can be extremely fragmented, occasionally contradictory, and dispersed throughout thousands of databases and platforms. 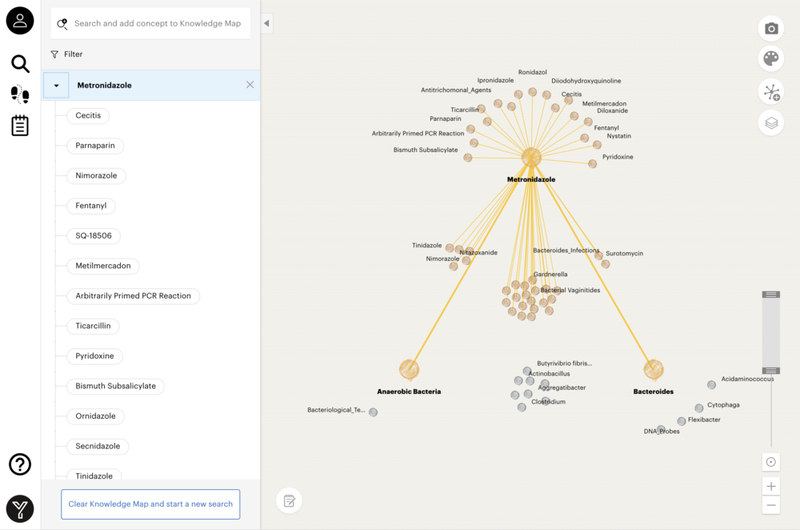 Beginning with millions of structured and unstructured data points, Yewno Life Sciences produces an easily accessible, user-friendly knowledge graph that helps researchers venturing into complex lines of inquiry, paving the way for further investigation and innovation and helping uncover unexpected connections.